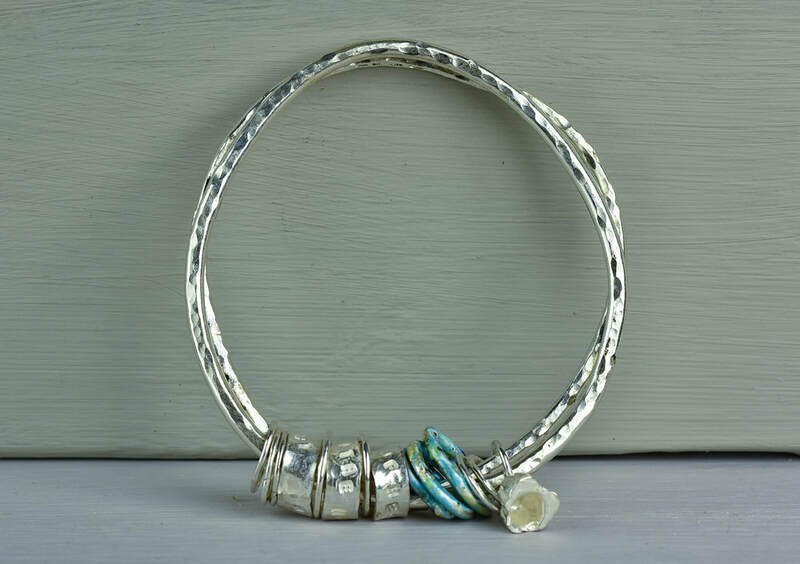 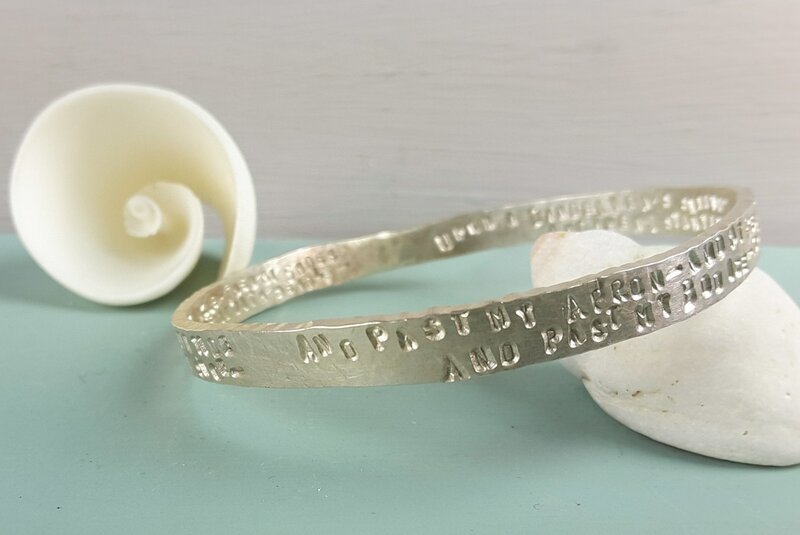 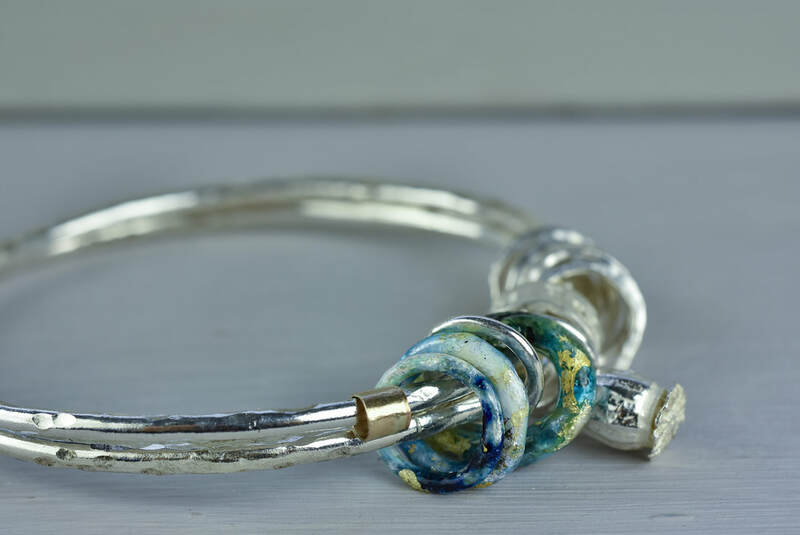 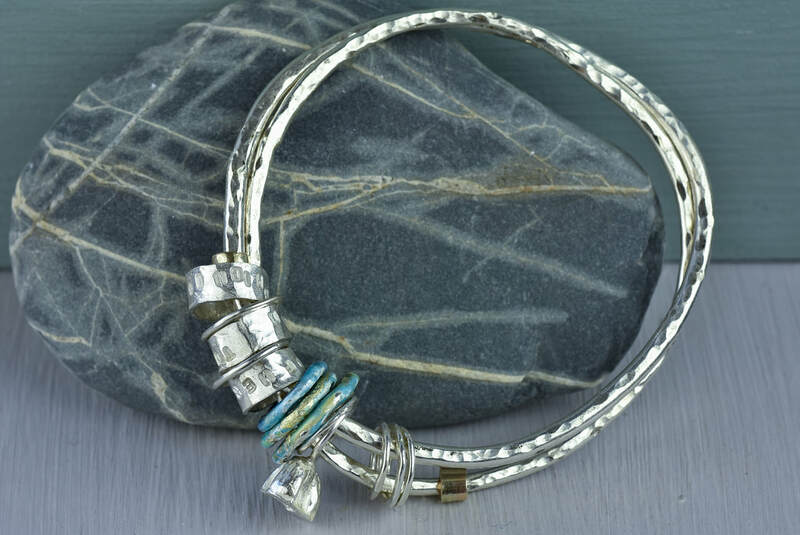 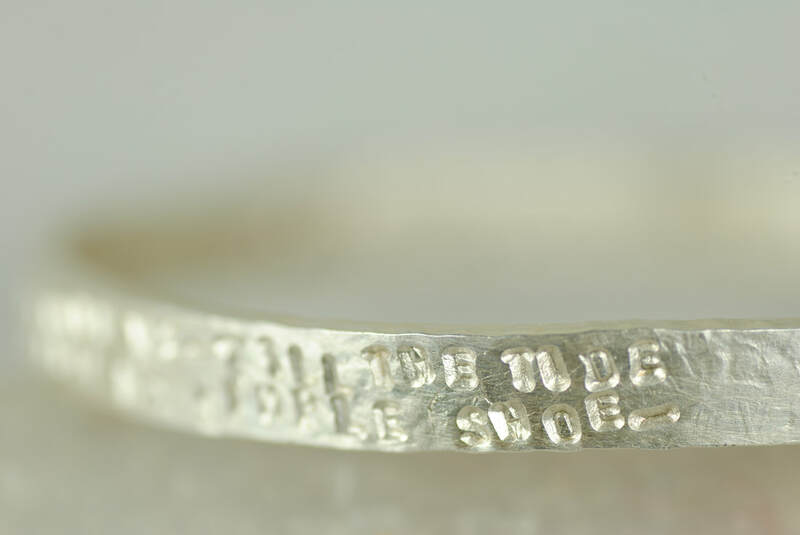 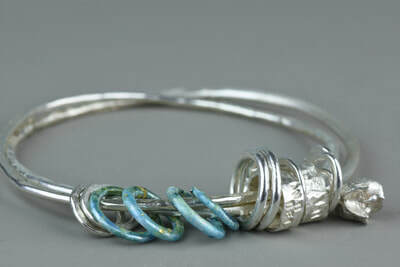 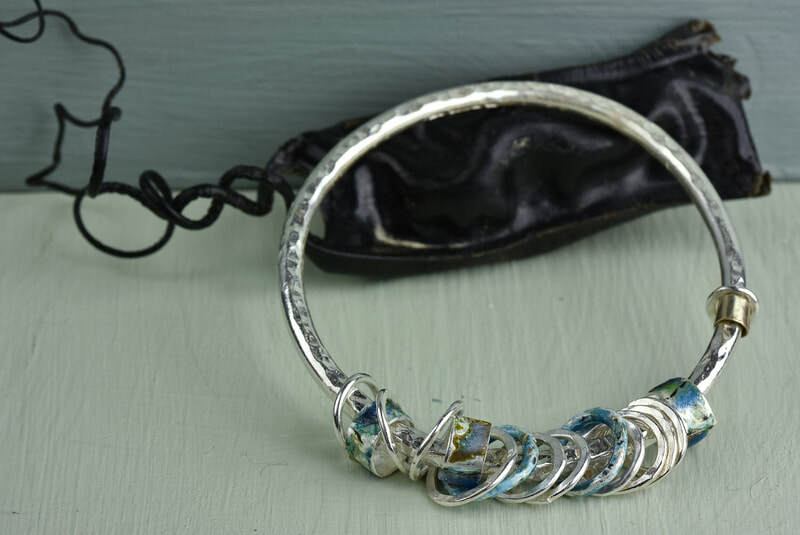 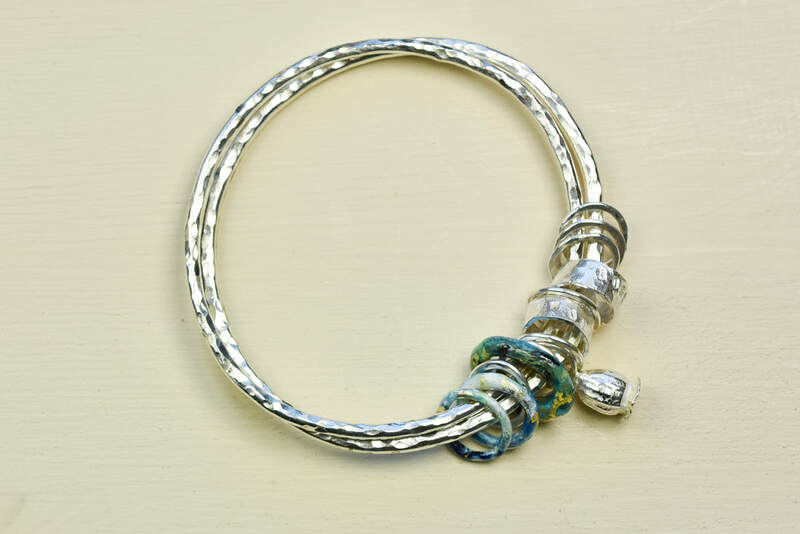 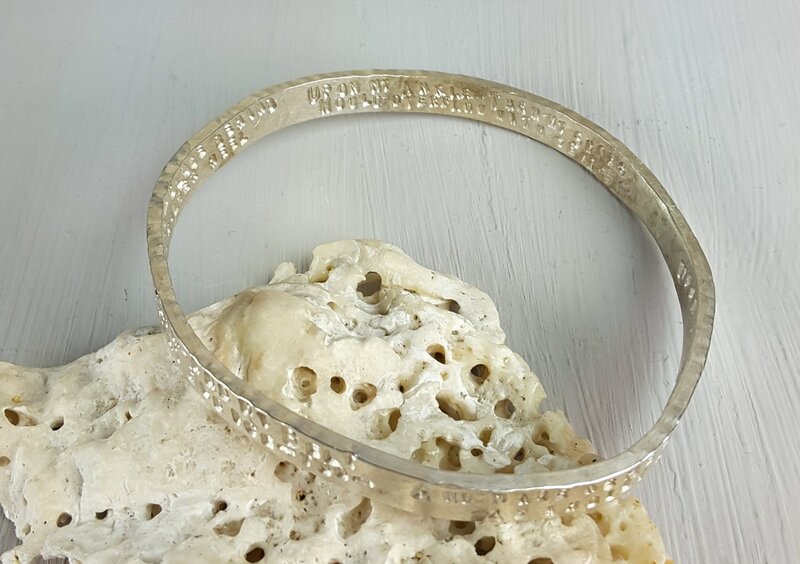 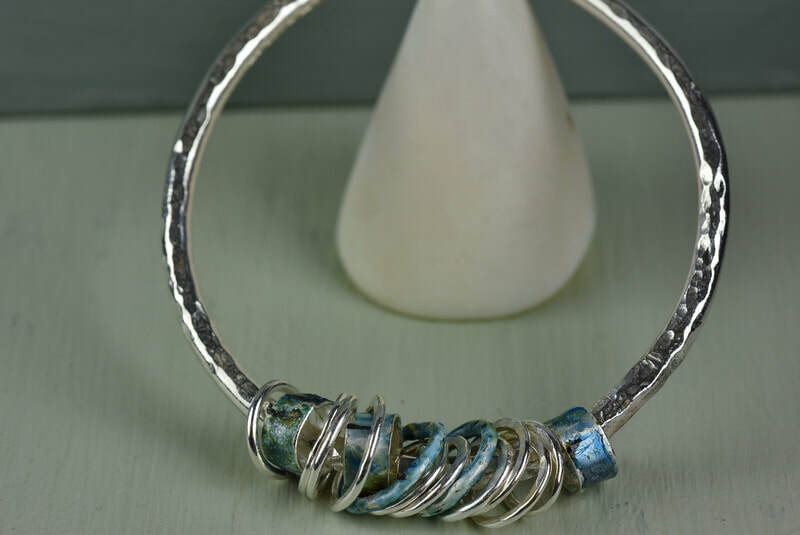 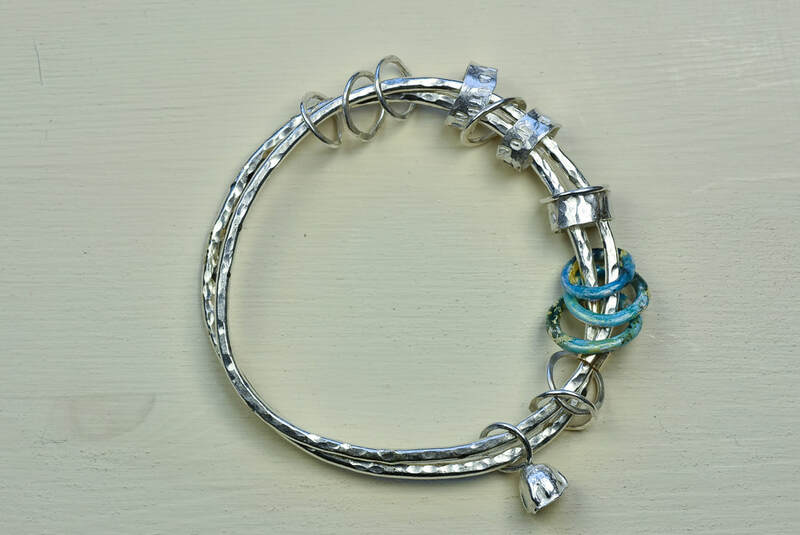 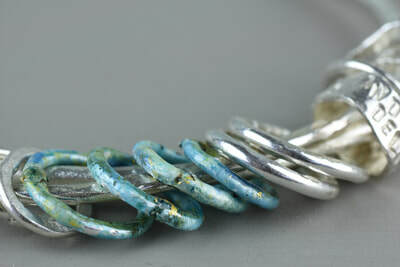 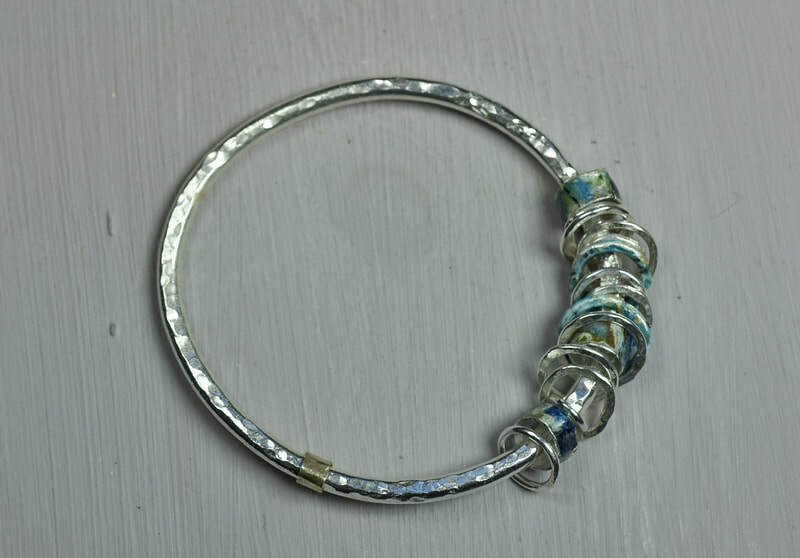 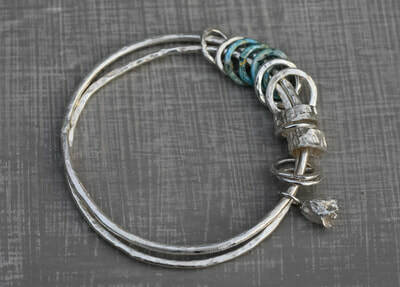 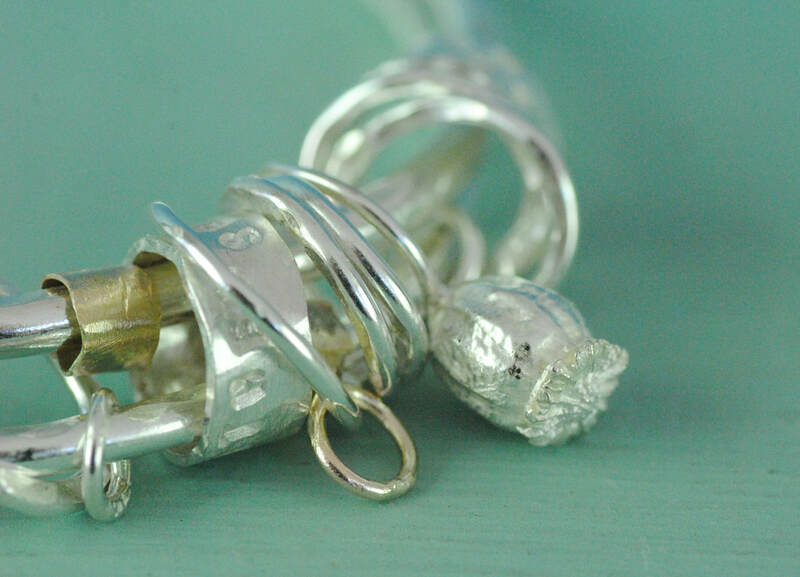 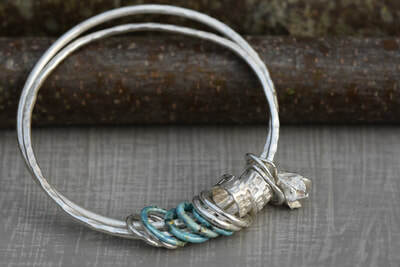 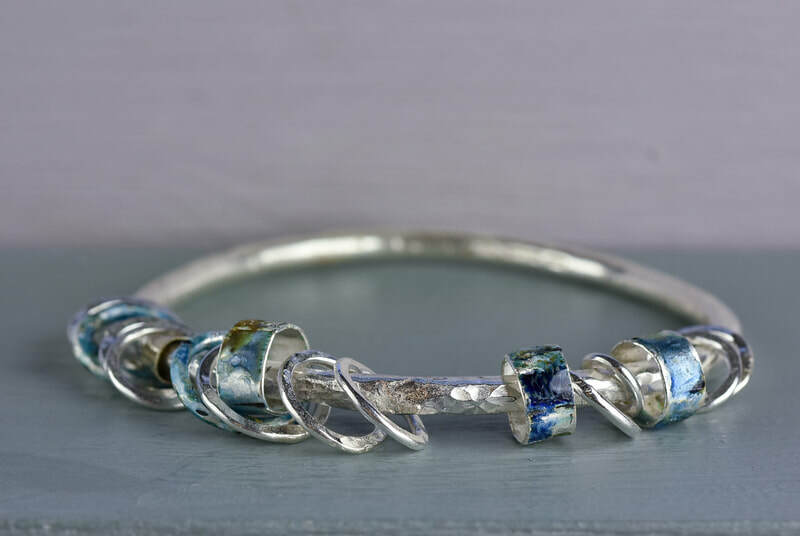 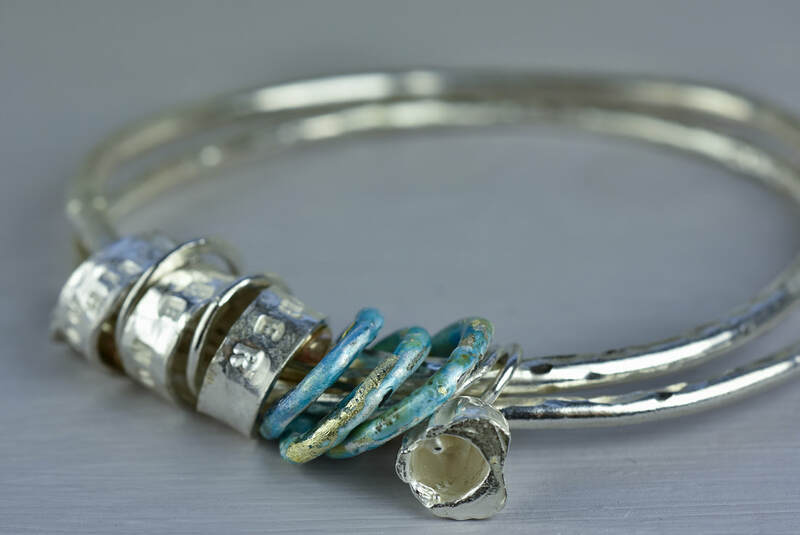 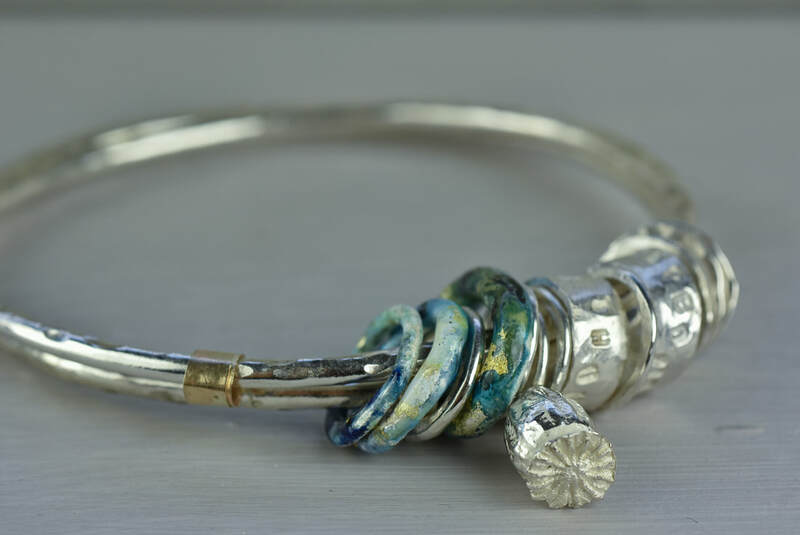 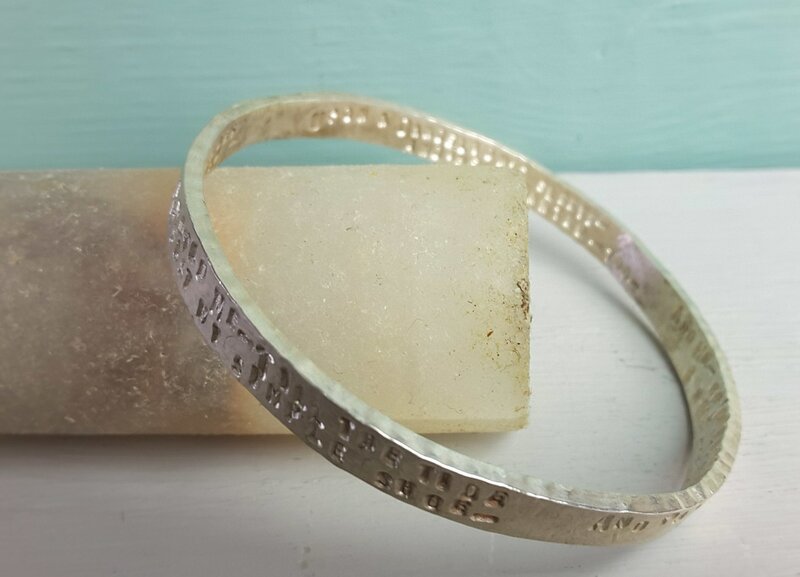 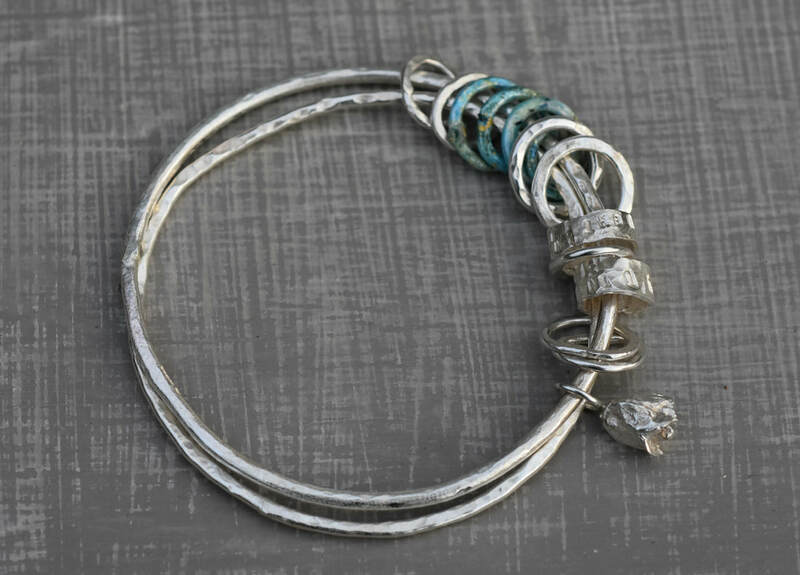 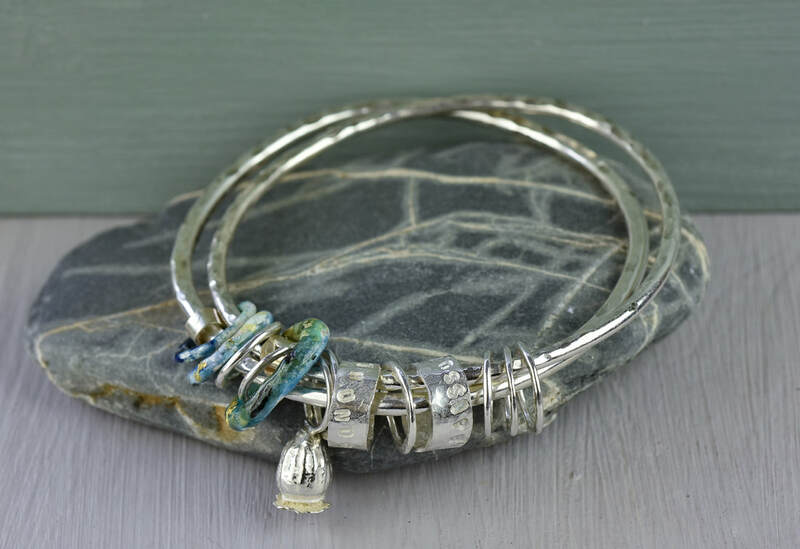 Bracelets are made from sterling silver and detailed in some instances with bio resin castings, enamel, gold or semi precious stones as well as text and textures. 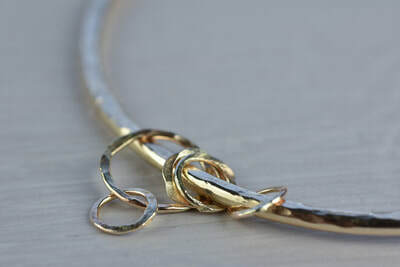 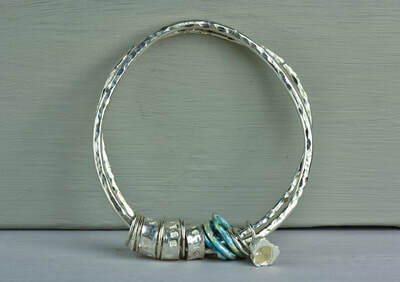 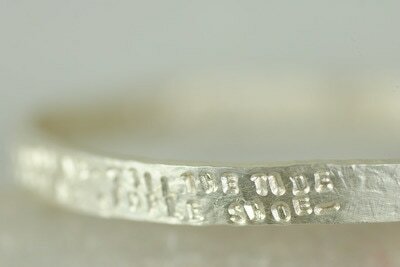 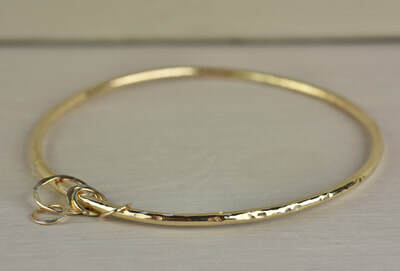 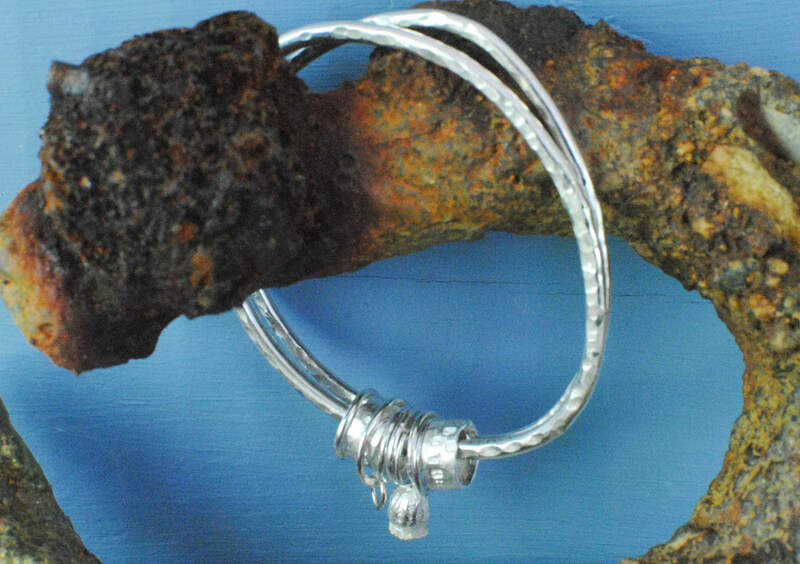 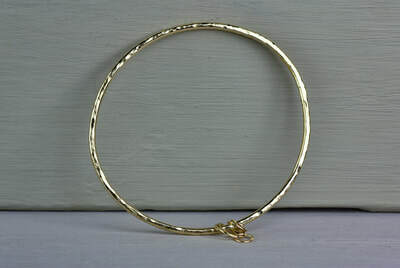 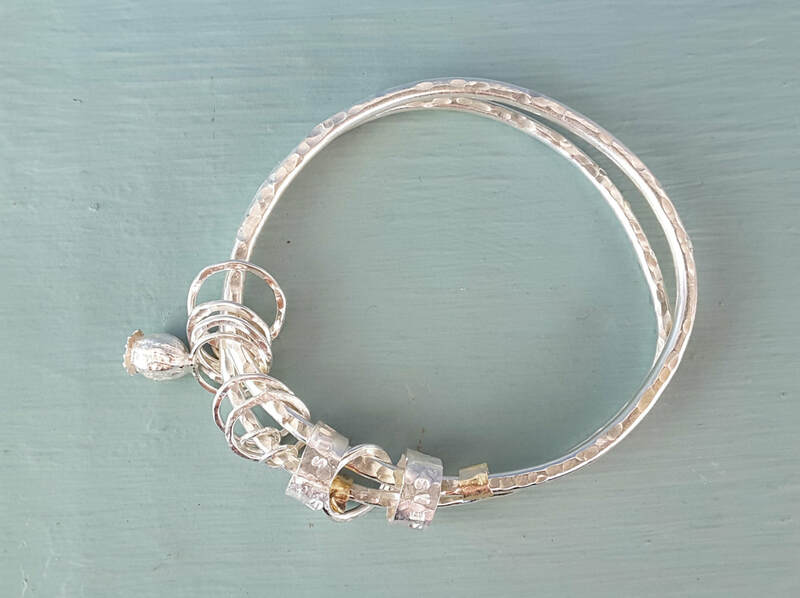 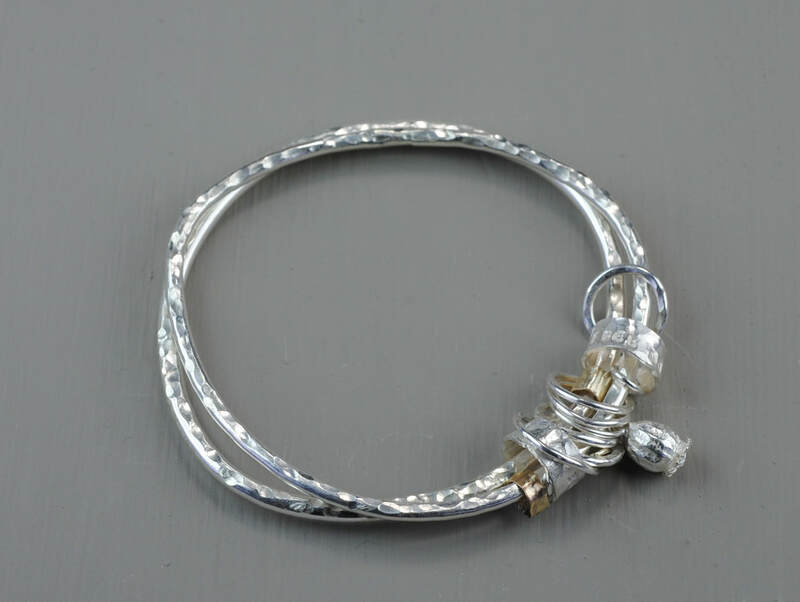 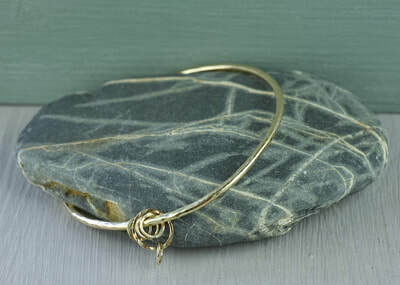 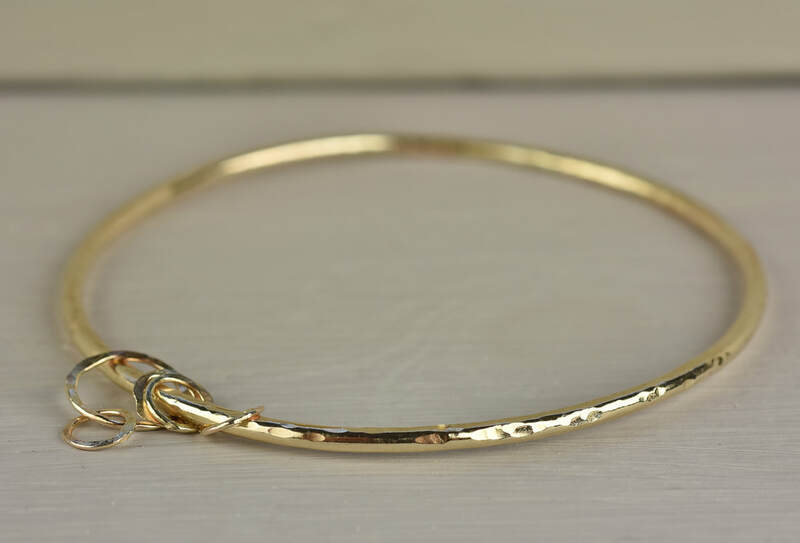 A simple and light shaped bangle with silver bands and 9ct gold detail. This piece is already mde and ready to ship.